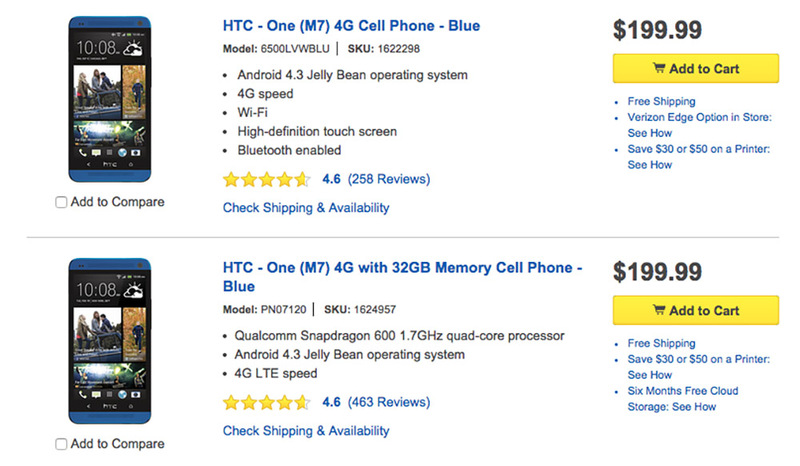 This is kind of a random deal that most will overlook since the phone is almost two years old, but if you need a really good phone on the cheap and without a contract, you can pick-up the original HTC One (M7) in Blue from Best Buy for just $199. While this isn’t the flagship it once was, it would still make a good phone for someone who doesn’t care about having the best phone available, is in the market for their first phone at a reasonable price, or who likes the color blue. Verizon, AT&T, and Sprint models are all available for $199.